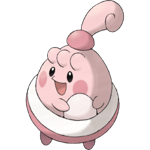 Blissey is the two-hundred-and-forty-second Pokemon on the National Pokedex and was introduced in Generation 2 (Gold, Silver, Crystal). 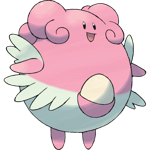 Blissey is a Normal type Pokemon. 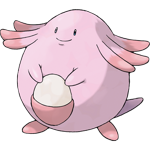 It is a Stage 2 Pokemon (Stage 1 before Generation 4); Happiny evolves into Chansey by holding an Oval Stone during the day time which evolves into Blissey based on Happiness.